"Scientific name for Black Walnut Juglans nigra". "Fear of trees Dendrophobia". The Black Walnut is a species of the walnut family, Juglandaceae. It is a flowering tree and is commonly found in the eastern areas of North America. It grows in riparian areas that stretch from the southern part of Ontario to the southeastern part of South Dakota. This plant has also been reported in Georgia, central Texas and Northern Florida. 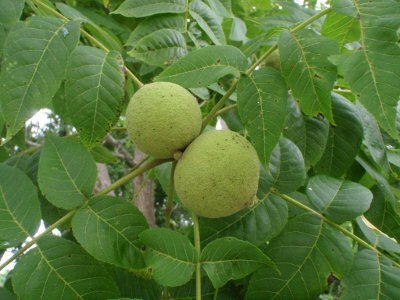 Researchers claim that the back walnut trees which are seen in the Ottawa valley could have been planted there and not necessarily native to the region. The black walnut is a deciduous tree meaning it sheds leaves at certain times of the year. It grows to a height of between 30 and 40 meters. When subjected to forest competition, the black walnut develops a tall trunk. This is contrary to those trees that grow in areas that are open. They have short trunks which end up forming a broad crown.The bark is grey-black in color with deep furrows. When you closely examine the pith of the twigs, you will find that they have airspaces which is an interesting development. The leaves are alternate measuring 30 to 60 cm in length. The largest of its leaflets are located at the centre which measure about 7 to 10 cm in length with a breadth of 2 to 3 cm. The male flowers are different from the female flowers in structure and formation. While the male flowers are in catkins measuring 8 to 10 cm in length, their female counterparts are in clusters of between 2 to 5 flowers which ripen during the autumn season. The resultant fruits are brownish green in color with a semi-fleshy husk and a nut that has a corrugated appearance. The fruits are first seen when the tree is 4 to 6 years old. Other varieties of the black walnut can take up to 20 years before producing their first fruits.